RE JIG IT REDUCE. REUSE. REJIGIT. ​St George's Chapel, an extraordinary wedding venue. 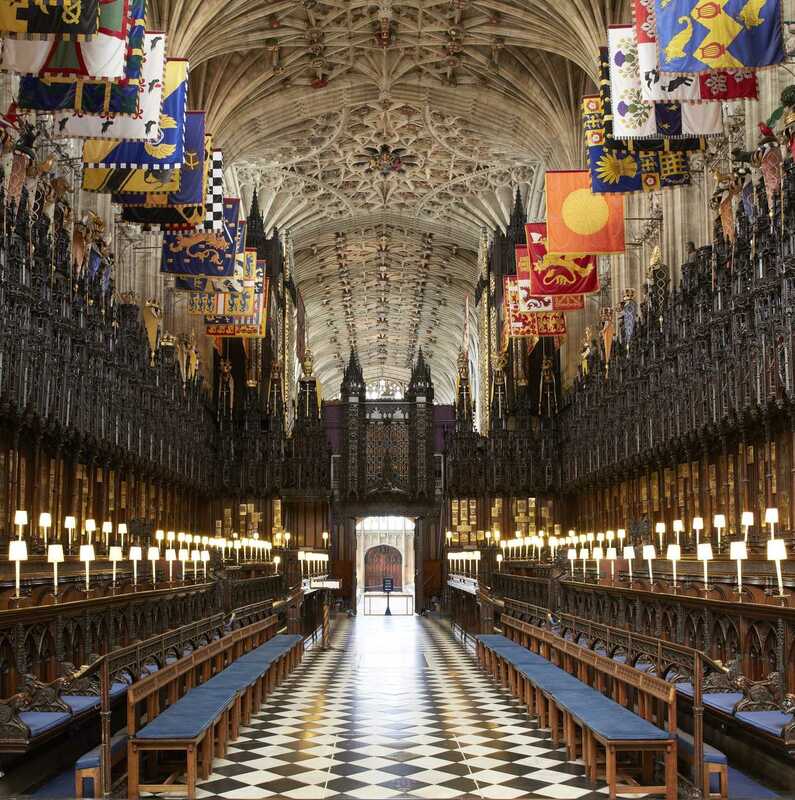 St George's Chapel situated in the grounds of Windsor Castle was designed in medieval Gothic style and is considered to be one of the finest examples of its architectural style in England. Building commenced in 1475 during the reign of Edward IV and finished fifty years later during the reign of Henry VIII. The church is managed by the Church of England religious College of St George and is officially described as The Queen's Free Chapel, The Chapel of the Most Honourable and Noble Order of the Garter and The Chapel of the College of St George. The chapel is also the official home of the Order of the Garter, the oldest and most prestigious chivalric institution in England and members of the order are obliged to display their achievements in the chapel. The said achievements include a banner depicting heraldic coat of arms, an enamelled stallplate, sword, crest, and helmet. Want to advertise your products, or show off your work on REJIGIT? Click here to sign up, and we'll be in touch.